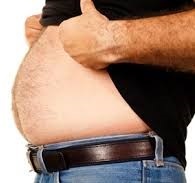 Dangers of Your Excess Abdominal Fat – No Longer A Vanity Issue. Did you know that the vast majority of people in this day and age have excess abdominal fat? This problem is far worse than first thought. Most people just think that their extra abdominal fat is simply ugly and they don’t want others to see it because it makes them self conscious. Many people don’t know but there are two types of fat in your abdominal area. These two types of fat are known as subcutaneous abdominal fat and visceral abdominal fat. Subcutaneous abdominal fat is the one that covers up your abs or six-pack from being visible. It forms a layer that sits directly on top of the abdominal muscles and up to the under side of your skin. Visceral abdominal fat lies deeper in your abdominal cavity. So it’s sits beneath your muscles and amongst your organs. Visceral fat has been shown to give that abdominal distension or protruded belly type look. On men it’s called a beer belly. Studies have shown that there are serious risk factors to your health with regard to excessive subcutaneous and visceral fat. They greatly increase your risk of developing heart disease, cancers, stroke, insulin resistance, diabetes, high blood pressure, metabolic syndrome, sleep apnea and many other degenerative diseases. However, excessive visceral abdominal fat has been shown to be far more dangerous due to higher cytokines (inflammatory signaling molecules) it releases into your body on a daily basis. So if you care about your health and the quality of your life as well as your loved ones, reducing your belly fat should be a top priority. Strong evidence shows you can significantly reduce the risks of chronic disease by losing weight, especially in the abdominal area. Seriously, there is no way around this. You either address this issue or you will suffer the consequences in the long run, and no one wants that. Now I’m sure many of you have tried a whole range of diets and the like, that haven’t helped you in the past - so what is the solution? How do you get rid of excess abdominal fat? Let me tell you that there is a REAL solution. You don't need gimmicky ab machines to lose that belly fat! Save your money! It’s not another gimmicky fat loss miracle product you see on TV commercials as not only are they a waste of your time, they're also a waste of your hard earned money. One thing you must realize is that there is NO quick fix to reducing your stubborn abdominal fat. All those ridiculous ab machines and miracle fat burning pills and supplements will not help you lose your belly fat faster. There is no such thing as spot reducing abdominal fat unless you go and get surgery. This is a proven FACT… the ONLY way to lose your abdominal fat and finally keep it off for good is to incorporate a healthy nutritious diet full of fresh unprocessed foods with a properly designed exercise program. Both of these combined will stimulate a metabolic response in your body and release the necessary hormones that will drive your fat burning machine and reduce both visceral and subcutaneous fat. One thing you need to realize is that not just any old exercise program will do. Many of you have probably tried to lose that stubborn belly fat or lose weight in general over the years but never got there. That will be due to a combination of diet mistakes as well as exercises being performed. Many of you hit your usual boring cardio routines, and maybe even some weights and crunches or ab machines in the hope of reducing your abdominal fat. I’ve seen this thousands of times in the gym. But when you don’t see any results you wonder where you went wrong - you then get frustrated. Have you ever felt like this? I’ve spent over two decades researching not only weight loss but health in general and applying it to not only myself, but thousands of clients from all over the world. I’ve seen first hand what works and what doesn’t. I have the solution. I know that it definitely works as proven by thousands around the world. I’ve combined the exercise combinations and training strategies right through to nutritional strategies and eating plans in my Ultimate Body Transformation program. This program isn’t just about abdominal exercises because it would just be like every other program. This program is designed as a one stop shop, to give you the most effective strategies for not only losing abdominal fat but losing that stubborn weight. In the end, you'll look and feel amazing. And the good thing is, that you will be massively reducing your risk of chronic diseases. It really is as simple as this. If you follow my Ultimate Body Transformation program you WILL lose the weight that has been plaguing you for years. This is a proven system that works time and time again for my clients. I seriously want to help you succeed in finally burning fat that you think looks ugly, but is a very real and serious danger to your health.